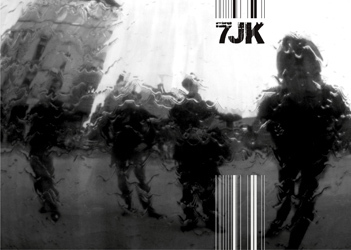 7JK is a head-on collision of Sieben (UK) and Job Karma (PL). 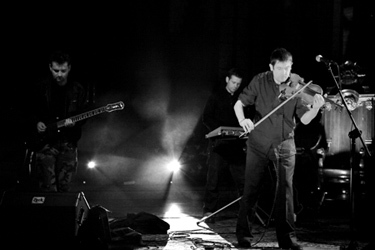 Looping violin and warm vocals mix seamlessly with electronics and an industrial edge. "Anthems Flesh sounds like these two well-loved artists combining, but also completely new: Something different has been born here. This new band will take all concerned to new heights: Powerful, intense, aggressive, mellow; simply, great songs, a wealth of emotions, an amazing meeting of two mindsets. This is a must-have album." ANTHEMS FLESH was written, performed and produced by: Maciek Frett, Matt Howden and Aureliusz Pisarzewski in Sheffield/England, and Wrocław/Poland. (Except for track 8, words and music by Andy McClusky/OMD, and track 11, words and spoken word by Keith Howden). 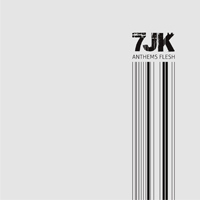 “The expectations were huge, but it’s nice to report that the ‘Anthems Flesh’ 7JK not only fulfilled the hopes placed in them, but they also manage to surprise the audience. Excellent production, catchy compositions”.